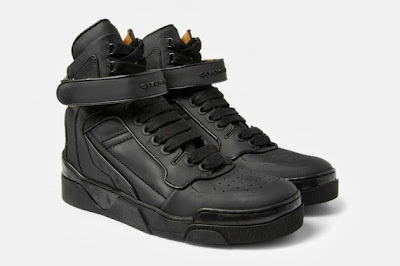 Givenchy‘s Fall/Winter 2013 leather high-top sneakers are mad dope! 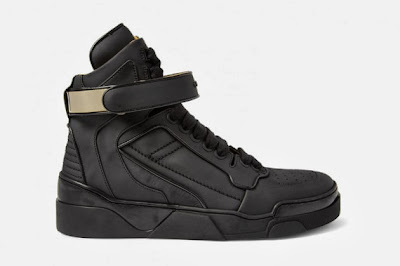 Featuring two variations on the same model, the first is an all-black sneaker boot with gold metal-trim at the back of the heel. Completely devoid of color, a matte finish adds to the paneled design. 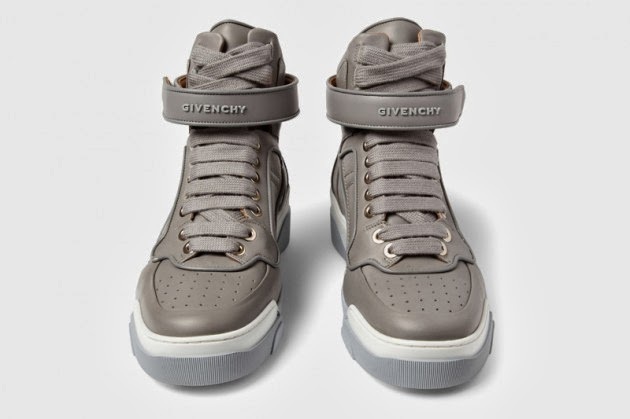 Alternatively the grey/white colorway is a staple look that is easier to pull off. 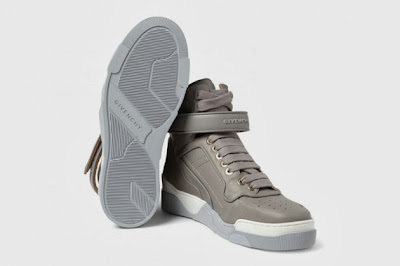 Sporting the same design minus the metal-trim, the slate grey sneaker comes with a white/light grey outer sole. 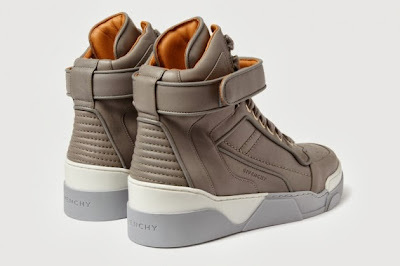 Both sneakers feature a raised Givenchy logo at the front of the ankle tab and leather lining. You can get them now at MR PORTER.